The magnificent Mount Kinabalu, which rises to a height of 4,095 meters (13,435 feet) above sea level, is one of the highest peaks in South East Asia. Standing sentinel within Sabah’s world renowned, Kinabalu Park, the peak presents a magnificent sight. 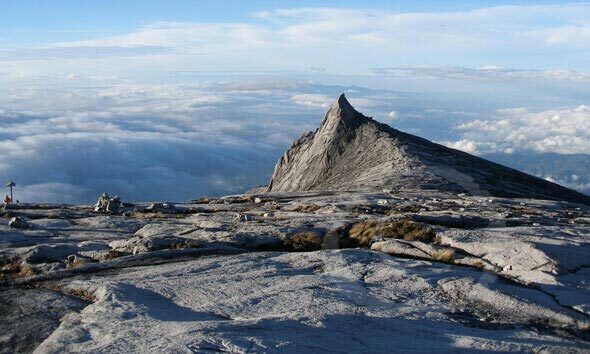 Surprisingly, for a relatively towering peak, Mount Kinabalu is quite easy to conquer and it is even popular with climbers who have little or no climbing experience. The summit of the mount offers breath-taking views of the park and beyond and thus climbers enjoy clambering up to the top. It is estimated that approximately 40,000 climbers attempt the climb up Mount Kinabalu every year. Realizing the immense appeal of the peak and the tremendous tourism potential that it offered, the Sabah Tourism Board took over the annual Climbathon event which was held on the slopes of the peak. Instituted in 1987, the Mount Kinabalu Climbathon was initially developed to speed up rescue efforts of park rangers, required to scamper up the mount and bring down injured climbers. The Climbathon soon became a competitive event whose participation was limited at first only to Malaysians. In 1995 the Climbathon was opened to international participants and soon became a feature on the international running circuit. The organization behind the Climbathon, the Sabah Tourism Board was admitted as a member of the World Mountain Running Association in 1997 and it went soon went on to host the 15th World Mountain Running Trophy in 1999. The Sabah Tourism board was subsequently admitted into the International Skyrunning Federation, the international body that promotes sports at high altitudes. This year, the Mount Kinabalu International Climbathon is scheduled to be held over two days, the 19th and 20th of October. The event will also will feature an altered course starting off at Kinabalu Park headquarters, going half way up the peak to Layang-Layang station (2760.3 m above sea level), then down again to the Mesilau Nature Resort before ending at Kundasang town. This altered course aims to boost participation for the event. The Climbathon in 2013 will feature two races, the Summit race to be held on 19th October and the Adventure race to be held on 20th October 2013. 1. This event is open only to 110 elite male and 40 elite female qualified runners. They have previously completed in one of the Climbathons held since 2008 or they have participated their home country’s official mountain race and have proof of their participation or then they have a letter of recommendation from their country’s mountain race / athletic body or any other body recognized by the Climbathon body. The Adventure Race is scheduled for 20th October 2013 and features the newly altered race course. The runners will be starting off at the Kinabalu Park entrance and they will go up to Layang-Layang Hut (half way up Mt. Kinabalu at 2760.3 m). The runners will then have to come down to the Mesilau Nature Resort before finishing up at Kundasang town. This race will extend over 23km and will require runners to run over 15 km of tarmac and 8 km of forest trails. This event is open to all men and women, 18 years and above. 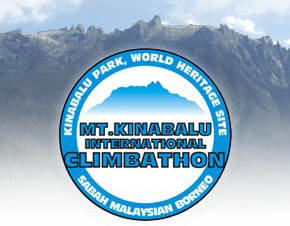 Registration for the 2013, Mount Kinabablu International Climbathon is currently closed but you can always plan to take part in the event next year.